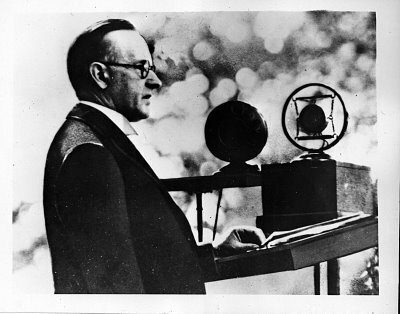 “I think — the best thing I can wish to the Jews in Palestine — is that they will get on — as well as they get on — over here” — Calvin Coolidge, 1926. As a result of a mixture of hostility to Jewish settlement throughout Europe and the activities of the radical “Parushim,” of which Justice Brandeis was a leader, the move to establish homes in British Palestine gained momentum following the First World War. Most Americans, including Jewish Americans, had no interest in carving out a “Promised Land” in Palestine. Here President Coolidge is pictured with Orthodox Zionists. These men and women were working to establish a place where Jews from everywhere would live together as a nation. Rather than observe the principle: be at peace with all men so far as it depends on you, the movement sought to pull up roots and plant anew. 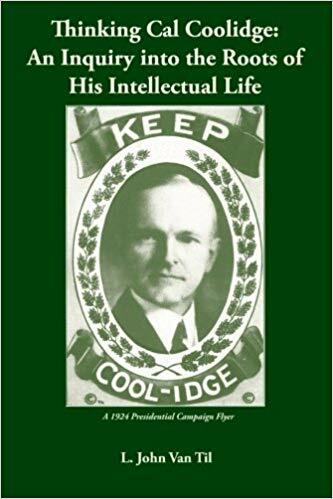 Coolidge’s statement, as the representative of America’s ideals, is a testament to this more excellent way here at home and in our relations abroad. The solution for the peace of the world was not in mandated Statehood but in exercising the obligations of citizenship here and wherever Jews already resided. Photo part of a collection held by the Jewish Historical Society of Greater Washington. with the layout on your blog. Is this a paid thee or did you customize it yourself? Thank you for your kind thoughts. WordPress enables me to select my own layout, color scheme, etc. It is highly recommended. I’m glad you enjoy the writing. Thanks again!